After Alvaro Bautista's runaway success since joining the WorldSBK series, winning all six main races and all three Superpole races, mostly by a significant margin, the FIM has made the first move toward balancing out performance. Starting from the next round at Assen, the Ducati Panigale V4R is to lose 250 revs, while the Honda CBR1000RR, which has struggled badly since the start of the year, is to given an extra 500 revs on the maximum rev limit. This is not the only step taken to limit the advantage which the Ducati has. Because Bautista has won every race so far, Ducati will also not be allowed to bring any engine performance upgrades, the so-called concession parts, which includes items such as cylinder heads, air intake funnels, etc. The Panigale V4R will have to compete in the state of tune they started the season. All other manufacturers - Honda, Yamaha, BMW - will be allowed to bring one set of updates at some point during the season. This also applies to the brands not currently competing, MV Agusta, Aprilia, and Suzuki. As Honda have struggled since the beginning of the year, and since Honda switched from the Ten Kate squad to the Moriwaki Althea team, riders Leon Camier, Ryuichi Kiyonari, and Alessandro Delbianchi all struggling to get close to the top ten, Honda have benefited from the rev limit system working two ways, and not just one. Honda have been granted an extra 500RPM to increase their maximum to 15,050. The press release from the FIM also notes that BMW chose to use the standard engine during the first two rounds of 2019, and so those results were weighted less when taking any change to BMW's rev limits into account. If the S1000RR continues to struggle in top speed against the other brands, they may yet gain more revs after the next three rounds. What difference will all these changes make? It is unlikely that the loss of 250 revs will make a huge amount of difference to the Ducati Panigale V4R. Bautista's dominance seems to be more about the perfect match of rider and machine than any specific amount of horsepower. What's more, Ducati used their recent test at Aragon to try the bike with 250 RPM less, and so they already have an idea of how the bike will react. At the conclusion of the 3rd round of the MOTUL FIM Superbike World Championship the concession points scores see the top two manufacturers Ducati and Kawasaki at the top of the table. Due to the gap of only 7 points (20-13) neither will be allowed a concession parts upgrade during the season. The remaining manufacturers will all be allowed one upgrade. Special consideration has been applied in the case of BMW – the German marque, after declaring their concession parts, chose to compete in the first two events using a standard engine. This is compliant with the regulations and therefore the weighting of the calculation has been biased towards their performance during the third event where the concession specification engine was used. The changes must be in increments of 250rpm and the Honda’s performance indicates that two steps should be applied at this point. The odds of Grand Prix motorcycle racing returning to the magnificent Spa-Francorchamps circuit in Belgium increased last week. On Thursday, the government of Wallonia, the French-speaking region of Belgium, announced that the circuit had been granted a €29.5 million loan for upgrades to make the track safe enough to eventually host motorcycle racing at the circuit. The loan, from the Walloon development agency SOGEPA, is part of a larger financial package of €80 million aimed at updating and modernizing the Belgian circuit. €51 million of that total is targeted at bringing back international motorcycle racing to the track. The objective, according to Belgian website 7sur7, is to have the FIM WEC World Endurance Championship return to the circuit in 2022, with a possible return for MotoGP planned for 2024. Making the circuit safe enough for motorcycle racing is no easy task. The track winds its way through the Belgian Ardennes, a closely wooded area composed of steep hills. There is little room to create added runoff, at what would undoubtedly be one of the fastest tracks on the calendar. Corners such as Eau Rouge/Radillon and Blanchimont would be candidates for the fastest corners on the calendar, with little room for error. The circuit still holds the record for the highest average speed in Grand Prix racing, when Barry Sheene lapped the then 14.1 kilometer circuit at an average speed of 220.721 km/h. Even on the shorter 6.9 km circuit which Grand Prix racing used on their last visit in 1990, Kevin Schwantz set pole at an average speed of over 174 km/h. With 30 years of progress since then, MotoGP bikes should go much more quickly. The layout is not the only challenge to racing at Spa. The Belgian Ardennes is a beautiful location, but the dense woods and steep hills mean it is highly susceptible to wet weather. On average, it rains approximately 12 days of every month in the area, giving a very high chance of rain. Scheduling a race in Belgium would also be tricky. Spa-Francorchamps is 375 km or three-and-a-half hours from Assen, and roughly 600km from both Le Mans in France and the Sachsenring in Germany. If the calendar threatened to cannibalize spectators from one of the other races, serious objections could be raised. The dangerous nature of the circuit has saw international motorcycle racing withdraw from the track many years ago, the track focusing instead on the F1 race held there. A motorcycle Grand Prix race was held at Spa-Francorchamps 40 times, between 1949 and 1990, only missing out in 1980 (when the Belgian Grand Prix was held at Zolder) and in 1987, when the race at Spa was canceled due to safety measures demanded by the FIM not having been taken. The last 24-hour endurance race backed by the FIM was held at Spa in 2003, the 2004 24 Heures de Liege (as the race was known) being canceled again because promised work to improve safety had not been done. Ten Kate Racing will be making a return to the WorldSBK paddock. At either Imola or Jerez, the Dutch squad will be racing a Yamaha YZF-R1 with Loris Baz. With still some testing and development left to do, racing at Imola in early May is a tough challenge, but Ten Kate will definitely be racing at the Jerez round of WorldSBK to be held from 7th – 9th of June. The switch to Yamaha is a dramatic break with the past for Ten Kate. The team grew out of a Honda dealership in Nieuwleusen, 45km south of Assen, and went on to win multiple championships in both the World Supersport and World Superbike categories. But on 30th October last year, Ten Kate were told at a meeting in Amsterdam that Honda would not be continuing with the team, but had chosen to partner with Althea and Moriwaki instead. That decision had enormous consequences. Ten Kate was already developing engines ready for 2019, had ordered parts and supplies for the following season, and had signed a second rider alongside Leon Camier. Coming too late for Ten Kate to seek alternatives, the decision forced the race team into bankruptcy, and caused them to completely reevaluate their plans. After speaking to multiple other manufacturers, they eventually reached agreement with Yamaha Europe to race in WorldSBK for the 2019 season, with the first signs of a deal coming shortly before Christmas, while the details of the deal were only agreed in January. The reasons for Ten Kate to choose Yamaha and Loris Baz to choose Yamaha and Ten Kate was the completeness of the package. Ten Kate will be supported by Yamaha Motor Europe, and will start with similar equipment to the Crescent Yamaha and GRT Yamaha teams. But Ten Kate will also work on their own development of the bike, and hope to make the bike much more competitive by the end of the year. The deal also has a secondary benefit for both Ten Kate and Yamaha. The Ten Kate dealership also has a Racing Products shop, where they sell parts to professional and amateur racers. Ten Kate also sold the parts which they had developed in their own racing program, both in World Supersport and World Superbikes. But with Honda stepping slowly back from production racing, and fewer riders using Hondas for either racing or track days, Ten Kate Racing Products was starting to branch out to other manufacturers. As a by-product of Ten Kate's deal to race a Yamaha in WorldSBK, Ten Kate are now also selling Yamaha's GYTR line of racing products. The goal for Ten Kate and Loris Baz is to aim for as many podiums as possible. With the championship already well underway, it is too late to chase a championship position, Baz said, so the objective is to focus on results race by race. Team principal Ronald ten Kate described the range of emotions he had gone through after hearing from Honda that they would not be continuing the relationship. Anger, frustration, sadness, confusion, he had been through them all, he said. But the most difficult thing for him had been on the drive back from the meeting, knowing that the end of the contract meant that he would have to lay off so many of the people he has worked with for years. From a staff of over 20, Ten Kate will be returning to WorldSBK with a crew of around 8. Asked if he felt any satisfaction at seeing the Hondas continue to struggle in WorldSBK in the hands of Althea and Moriwaki, Ronald ten Kate shrugged his shoulders. "Whether they are at the front or at the back, it doesn't really affect us," he said. At least it demonstrated that HRC had not been holding any magic solutions back from the team. Loriz Baz had been prepared to wait for the Ten Kate team, while they prepared for the new season. After a difficult year in 2018, the Frenchman was willing to wait for a competitive package. He had been in talks for rides in BSB and MotoAmerica, but the combination of Ten Kate and a Yamaha R1 was worth holding out for. Baz had spent the winter working even harder on his fitness, in the hope that he would get a chance in 2019. That chance will come at either Imola or Jerez. If Ten Kate go racing at Imola, then it will be very much a shakedown, with little time for testing or preparation. But they expect to have everything in place for Jerez, and to be able to go testing before the race there. The MotoGP Court of Appeal has ruled that Ducati's aero spoiler, attached to the bottom of the swing arm of the three Desmosedici GP19s and used in the opening MotoGP race at Qatar, is legal. The decision of the court means that the race result stands, and that Ducati can continue to use the spoiler going forward. The decision comes after the Court of Appeal heard a protest, submitted by Aprilia, Honda, KTM, and Suzuki against the ruling by MotoGP Technical Director that Ducati's device was legal. After the race, the four factories protested first to the FIM Stewards, who rejected the protest, and then to the FIM Appeal Stewards, who ruled that they needed technical information to judge the merits of the case, and so referred the protest to the MotoGP Court of Appeal. Last Friday, the Court of Appeal sat in Mies, Switzerland, the offices of the FIM, and heard submissions from Ducati, and from the other four factories who submitted the appeal. Ducati had Fabiano Sterlacchini present alongside Gigi Dall'Igna, while Suzuki and Aprilia had brought Filippo Petrucci, a Ferrari engineer who had worked with Michael Schumacher in F1 previously, to help present their objections. The case revolved around the function of the spoiler fitted to the bottom of the Ducati's swing arm. Ducati claim that it helps to cool the rear tire. The other four factories, Aprilia foremost among them, point to the fact that the spoiler has three horizontal vanes, which must, they claim, create some kind of downforce. The case was only made possible because Ducati and Aprilia presented swing arm-mounted spoilers to MotoGP Technical Director Danny Aldridge to ask whether they would be legal. As part of the additional technical guidelines, Aldridge ruled that devices could be attached to the bottom of the swing arm, if they were solely to be used for deflecting water or debris from the rear tire, for the purpose of cooling the rear tire, and "their purpose is not to generate aerodynamic forces with respect to the ground". Ducati managed to convince Aldridge that their spoiler was used for cooling the rear tire. No doubt the fact that the spoiler is only fitted together with the front wheel covers helped persuade him of their case. Aprilia, who had asked to use a device which they were using to generate downforce, and which Aldridge had rejected, decided to protest Ducati's use of the spoiler. This is not the final step in the process, however. Aprilia, Honda, KTM, and Suzuki now have five days to protest against this decision, and appeal it to the Court of Arbitration for Sport, the CAS. I understand that as yet, no decision on an appeal has been taken, in large part because the FIM only released the decision, and not the reasoning behind the decision. Without knowing what persuaded the three judges who heard the case, it is hard for the four factories to decide whether an appeal to the CAS would stand a chance. Two things seem clear from this decision of the MotoGP Court of Appeal. The first is that the MotoGP regulations on aerodynamics are badly in need of clarification. As an example, the technical guidelines issued by Danny Aldridge speak of "attachments to the rear swing arm". As some people have pointed out, this is easily circumvented by integrating the spoiler into the shape of the swing arm. These issues will not be solved by issuing further guidelines; it needs a full overhaul of the rules. Which raises a larger problem. The MSMA, the manufacturers association, are responsible for the technical rules in MotoGP in the first instance. Any proposal for a change to the technical regulations must come from them, with Dorna and the FIM only able to put forward proposals related to safety. But as I wrote last week, keeping the MSMA together is no longer easy with six factories involved. There are growing signs of splits inside the MSMA, and open recrimination between some of the principals. Ducati Corse boss Gigi Dall'Igna reportedly said in Qatar that he had been faced with "laypeople" on the other side of the table. KTM's Mike Leitner retorted that "nobody could believe that the race departments of Aprilia, Suzuki, Honda, and KTM only employ laypeople". Ducati, and especially Gigi Dall'Igna, have made no secret of their desire to continue to explore the possibilities offered by aerodynamics. The other factories are much less keen, fearing the cost an aerodynamics war might unleash. The chances of the six factories involved in MotoGP being able to produce a unanimous proposal on aerodynamics seem to be close to zero. The FIM could still adopt a proposal not presented unanimously, of course. The rule book only obliges the Grand Prix Commission to accept technical proposals put forward by the MSMA if all MSMA members agree unanimously. The other five MSMA members could put forward a proposal which Ducati disagrees with, and Dorna, IRTA, and the FIM could consider it on its merits. Given the aversion inside Dorna and IRTA against aerodynamics, such a proposal should pass the GPC with relatively little resistance. During the MotoGP race at the season opener in Qatar on 10 March 2019, technical protests concerning the use of a device on the Ducati machine were lodged with the FIM MotoGP Stewards by Team Suzuki Ecstar against #43 Jack Miller (Ducati), by Repsol Honda Team against #4 Andrea Dovizioso (Ducati), and by Red Bull KTM Factory Team and Aprilia Racing Team Gresini against #9 Danilo Petrucci (Ducati). 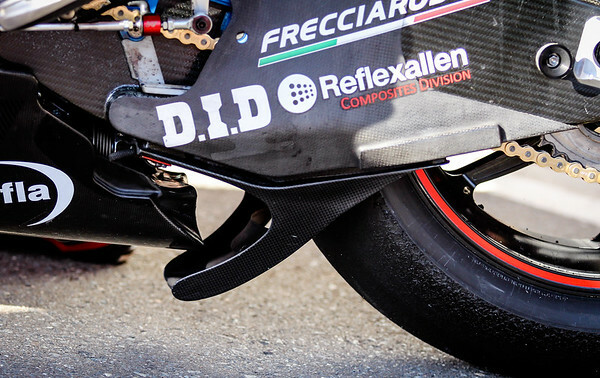 The protesting teams considered that the device was primarily an aerodynamic device and therefore not compliant with the MotoGP technical regulations. After a hearing, the four protests were rejected. The same four teams then lodged appeals against the MotoGP Stewards’ decision to the MotoGP Appeal Stewards and a further hearing was conducted. The MotoGP Appeal Stewards determined that further technical evaluation was required and that this was not possible under the circumstances. They therefore decided to refer the matter to the MotoGP Court of Appeal in accordance with Art. 3.3.3.2 of the applicable Regulations. Following a hearing in Mies on Friday 22 March, the MotoGP Court of Appeal handed down its decision today 26 March and the parties (the four appellants, Ducati and the FIM) have been duly notified. The request to declare the Device illegal and ban its use in future races is rejected. Dorna has announced a new schedule for the MotoE series, consisting of six races to be held at four European rounds of MotoGP. The 2019 MotoE series will now kick off in July at the Sachsenring in Germany, followed by a race at the Red Bull Ring in Austria, and double headers at Misano and Valencia. The new calendar was drawn up after a devastating fire destroyed the entire fleet of bikes and charging equipment for the MotoE series at Jerez earlier in the month. With so much equipment gone, and so much to replace, Dorna was forced to cancel the first two rounds of MotoE, due to be held at Jerez and Le Mans, and push back the start of the season to the Sachsenring. The causes of the fire are still being examined. In previous press releases, Dorna stated that none of the bikes was being charged when they caught fire. The current focus is on a charging station which caught fire, for an as yet unknown reason, but that is not yet confirmed. Dorna have promised to issue a press release with more details on the causes of the fire once the investigation has been completed. The revised schedule for the inaugural season of the FIM Enel MotoE™ World Cup can now be confirmed, with all the partners involved in the Cup working hard to ensure this new parallel path of racing gets back on track. The calendar will retain six races and MotoE™ will be back in business at a test in June at a circuit to be confirmed. The first race of the season will now take place at the HJC Helmets Motorrad Grand Prix Deutschland in July, with the next two events set for the Red Bull Ring and Misano World Circuit Marco Simoncelli respectively, the latter of which will remain a double header. It won’t be the season finale, however, as the last round of the Cup will now take place at the Circuit Ricardo Tormo in Valencia, where there will be another two races to end the season in spectacular style. As previously stated, Jerez will not host MotoE™ as part of the Gran Premio Red Bull de España and the revised calendar confirms that MotoE™ will not race at Le Mans. The exact causes of the fire that destroyed the majority of the equipment for the Cup remain under investigation. The results, as well as any further updates, will be announced in due course. For now, save the date for the season opener at the German Grand Prix on the 7th of July. After yesterday's sitting of the MotoGP Court of Appeal, ruling on Ducati's rear swing arm-fitted spoiler, no official announcement was made, and next to no information leaked out from other sources. There is still no decision, and what was discussed behind closed doors, is staying behind closed doors for the moment. On Saturday, however, Aprilia held its Aprilia All Stars event at the Mugello circuit, a day to celebrate the fabulous machines the Italian factory has produced, and the great champions who have ridden then. Along with riders past and present, there was also Massimo Rivola, Aprilia Racing CEO, and Romano Albesiano, Aprilia Racing Manager. That meant that they had their chance to give their side of the argument to the assembled media. In a press conference, Rivola and Albesiano explained why they had protested against Ducati's use of its spoiler during the opening race of the 2019 MotoGP season at Qatar, and made clear that it was not their intention for Andrea Dovizioso to be stripped of the win in that race. At the heart of their complaint was the fact that Aprilia had submitted a similar design to MotoGP Technical Director Danny Aldridge, and had it rejected. They had sent the design to Aldridge on 19th February, but Aldridge had ruled that it violated the guidelines sent out after the Qatar test. "We discussed about a device to be fitted in that area," Romano Albesiano explained. "Then we learned that you can say a wing can be useful for refreshing everything, no? But we were clearly told that a device fitted in that area should not have an aerodynamic purpose, and would have been taken off if it was dry. So we stopped thinking about anything in that area." So when Ducati turned up with a spoiler fitted to the bottom of the swing arm, they had been surprised, Albesiano said. "We were really surprised that a wing fitted in that area was allowed." From Albesiano's perspective, it is clear that Ducati's spoiler creates downforce. "In the new edition of the guidelines which was issued the day after the IRTA test in Qatar, it was clearly said that a device fitted in that location should not be designed to create a downforce," he explained. "A downforce is one of the aerodynamic effects mentioned, and the purpose of the downforce is grip." The triple wing fitted to the GP19 clearly did that. "A wing creates downforce," Albesiano said. Albesiano rejected the idea that the amount of downforce created was negligible. "It's not one pound [of downforce]. It's much more than one pound in the calculations we have done, it's much more. And when the range of riders is separated by hundredths of a second, even a few kilograms of downforce can be a help and make the difference." Albesiano gave some details from the spoiler Aprilia had designed and which Aldridge had rejected, saying that their device generated a significant amount of downforce. "We did the virtual wind tunnel testing, so called CFD, computational fluid dynamics. We simulated this device in straight line conditions, braking conditions. We have figures on the downforce, the drag, and the cooling effect that this device can give. I'm not sure I can give numbers today, but from the downforce point of view, it's not negligible, it's something that can make a difference in performance. " What Aprilia wanted from the Court of Appeal was some clarification, Massimo Rivola explained, and not for the results to be scrapped. "First of all, I will say once more, we never asked for the race result to be different than it was," Rivola said. "Even at the time of the protest and the appeal, that was clear, at least to Aprilia." But Aprilia did expect the rules to be clearer and applied more consistently, Rivola said. "I don't expect something to change in the very short term, but I expect that everybody understands that there is a need for some clarification." It was better to protest at the first race and have the rules cleared up, than to let it fester through the year, Rivola explained. "I think that the fact that we made this fuss at the first race, I think it's better to do it straight away. Now we can say, I told you so." The real objection to aerodynamic experimentation was of costs spiraling out of control, Rivola explained, something he was all too familiar with from his time in F1. "From my experience in Formula 1, if we decide to go to the aerodynamic field, it will cost a fortune to everybody. Probably for a very little gain, especially in the areas which are now free, like that one attached where it is. And even more, it is very difficult to police." "So, you spend a lot of money, the federation cannot control the rules, so far the federation allowed and gave its OK looking at the part and saying, 'if you say it's for cooling the tire, then I think it's OK'." The level of knowledge inside the FIM, IRTA, and Dorna to police the rules needed to be raised, Rivola said. "I think we need to raise the level. When we say about professionalism? Yes, this for me is something which is not acceptable. And I think you can't disagree, to be honest." While Ducati is waiting to hear whether it will be allowed to use its spoiler in Argentina, Romano Albesiano hinted that if the part is ruled legal, they could take a second look at the part which Danny Aldridge had previously rejected. "We stopped every kind of development in that area, and we are waiting for the result of the appeal," Albesiano said. "We still hope that the guidelines will be applied, and this device will be banned for the future. Otherwise, if it would be allowed, we could do something based on our experience." The Aruba.it Ducati WorldSBK riders are heading to Aragon. There, Chaz Davies and Alvaro Bautista are to test the Ducati Panigale V4R as part of Ducati's test team, in preparation for the Aragon round of WorldSBK, due to be held there from 5th to 7th April, in just over two weeks time. The test is crucial for Chaz Davies, in particular. The Welshman has struggled to adapt to the new Ducati V4, which requires a radically different riding style to the V-twin Panigale 1199R it replaces. Davies missed part of the winter testing schedule due to a back injury, which severely restricted his time in the saddle. His teammate, on the other hand, has won all six WorldSBK races (four full races and the two Superpole races) and leads the championship at the moment. Alvaro Bautista may arguably have had less of a step to make in terms of bike, coming as he did from the Desmosedici in MotoGP, but he did have to adapt to the steel brakes and much more pliant Pirelli tires used in WorldSBK. On paper, this is a track which should be very strong for Chaz Davies. The Welshman has won at least one of the two races held at each round at the Spanish track since 2015, doing the double in 2016 on the Ducati. He also won both races in 2013, riding the BMW S1000RR. If he can figure out how to get the best from the Panigale V4R at a track he is comfortable at, he should be able to get himself back into the championship.